By now it should be no surprise that I nominated Cecilia::Eyes as my top-band for 2014. They were one of my "biggest discoveries last year" list and made the "album of the year" as well. I named them one of the best bands from Belgium ever and definately one of the most atmospheric ones. This live album, available on their bandcamp page, is their Christmas present and it's one we will not return, ever. It's is simply great, often even reaching the quality of their 'Disappearance' album. 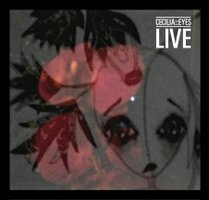 With nine tracks Cecilia::Eyes delivers a solid overview of what they're capable of on stage. The entire concert is an outstanding journey into the dreamy post rock landscapes these Belgians have written over the past few years. It makes me very curious towards their live performance at Dunk!Festival in May. The album opens with a few tracks from 'Disappearance', followed by several songs from the previous album, 'Here Dead We Lie'. The overal sound mastering is excellent. Only on some rare occasions it sounds like a live recording. Obviously the quality of live recordings has improved over the past decades. Back then I hated live albums because of their poor sound quality but this has changed a lot. I really enjoyed listening to this one and I'm pretty sure I will do that many times from now on. It surely doesn't change my opinion about this great band. 'Live' confirmes their talent and proves that they can really maintain the quality on stage. So there you have it, a very short review for a fantastic live album. I can only say it's highly recommended if you love some good post rock and shoegaze music. Listening to this I can almost predict that their performance on Dunk! and other festivals will reach epic proportions.